Did Brianna Maitland go to Montreal? – WHO KILLED THERESA? Did Brianna Maitland go to Montreal? Date: August 12, 2012 Author: jallore Leave a comment on Did Brianna Maitland go to Montreal? In a 2011 television interview for, I believe, The Discovery Network, Brianna Maitland’s mother said that Brianna was a restless girl, eager to find her independence, and had indicated that she wanted get away from the rural confines of upstate Vermont and live in a big city like New York or Montreal. 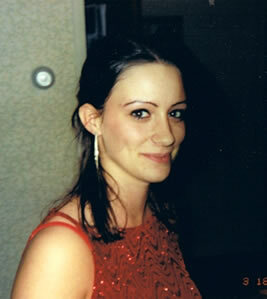 So, did Brianna Maitland – missing since 2004 – run away to Montreal? Certainly it would be easy to slip away over the Quebec border unnoticed. A recent Montreal Gazette article marks the closing of the Stanstead – Derby Line border crossing, the last unstaffed crossing, where criminals have been going back-and-forth for decades. Note that Stanstead is less than an hour from where Brianna was last seen in Montgomery, Vermont. When I was a kid, I attended hockey camp in Stanstead and I well remember walking back and forth across the border to get American candy bars; no-one every stopped you. Still, although the Quebec police at one time were investigating the possibility that Brianna was in Montreal (I know because I asked them, and they confirmed it… and then later Brianna’s father, Bruce told me he was working with Quebec Police) I think it is highly doubtful that Montreal was her destination the night of March 19, 2004. I think what’s been the biggest problem since the beginning of this case is too many silly leads that have distracted the investigation. Investigators lost valuable time trying to establish or discredit a link to the Maura Murray disappearance. In 2006, an affidavit surfaced from a young woman claiming that Brianna’s body was dismembered, and the remains scattered at a Vermont pig farm (note that in 2006, the Robert Pickton trail was in full swing in British Columbia: pig mania was everywhere). I have even heard the stories about Brianna being sacrificed by local teens in a devil worshipping ceremony. Then there was the runaway angle (she’s in Montreal, no she’s in New York, no she’s in Atlantic City). – She was in Montreal, or Florida, or “out West”. – She had a baby and was living in a convent. – She was a lesbian and was so ashamed that she ran away to… a convent. – The Hells Angels got her. – Her friends killed her. No wait… her friends did drugs with her, THEN killed her. – She was strapped to a bed for five months before finally being allowed to die. Brianna’s mother describes her daughter as being fearless, trustful of others, she saw the good in everyone. she wanted to be independent, to try new things, she experimented with life, used drugs recreationally, extremely beautiful and attractive, wanted attention, wanted to be loved. Could give as good as she could get (took martial arts), if confronted she would put up a fight. When I hear that description I hear my mother describing Theresa. They are the same women. And women like that court danger, and sometimes danger stalks them. When Theresa was eventually found – she wasn’t where any of the “experts” said she was. Her body was less than a mile from where she lived. Eight years later, I believe investigators need to go back to square one with Brianna. I believe in Occam’s Razor. I believe in the compelling principle of simplicity, especially when it comes to criminals and their behavior. Can people keep a secret after eight years? If they can after thirty-four, they definitely can keep their mouths’ shut for eight. Especially if you refuse to apply any pressure. I would DEFINITELY take a trip to Jamaica / Queens and speak again to Ramon Ryans and Low Jackson (I have every confidence Bruce Maitland has tried to, the police need to). Don’t wait for the forensic results from that skull found in Danby last winter. Trust me, it’s not her. Your answers lie right in Montgomery, and with the people who were in Montgomery, March 19, 2004.